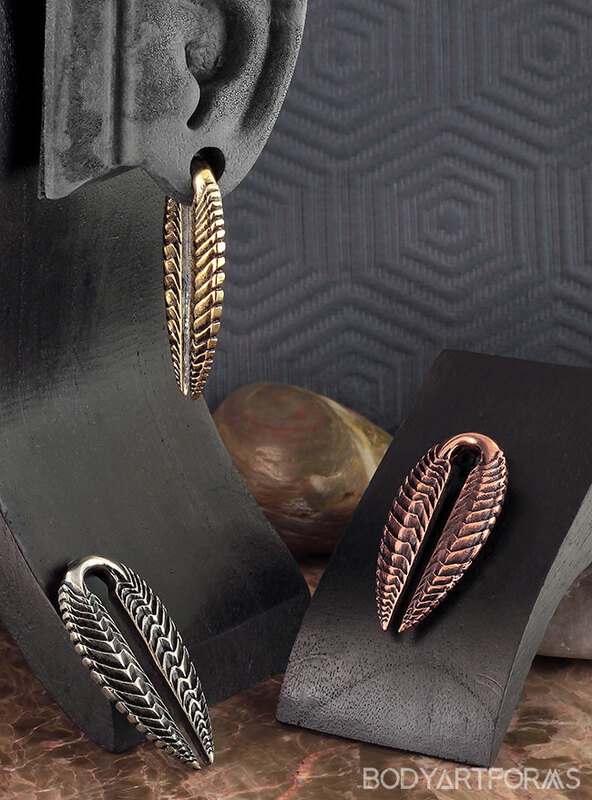 These ribbed keyhole weights have a style of their own with textured sides and a polished wearable area. Available in copper, white brass, or yellow brass. The wearable area measures at a 6g, but you must measure at 00g or larger to insert this design.